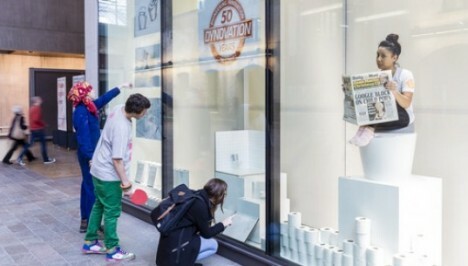 Award-winning innovation is rarely associated with restrooms, but considering the long lack of innovation with respect to the loo, it should come as no surprise that there is a better way to design toilets. 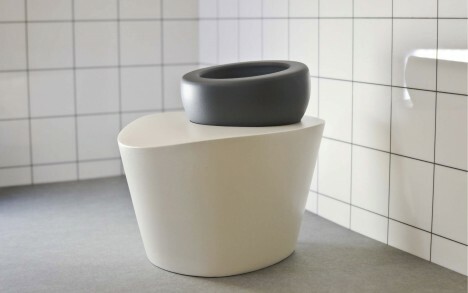 Announced on World Toilet Day (yes, it exists), the Wellbeing Toilet designed by three Central Saint Martin’s graduate students responds to the inefficiency and long-term health risks of traditional seats, generally forcing people to sit at 90 degrees. Its shape and structure were “commended for improving human health by reducing the risk of intestinal cancer and haemorrhoids and diagnosing medical conditions.” The design borrows from both Eastern and Western design strategies, combining them with well-being considerations. A panel of industry experts selected this winner on other criteria as well, including its sustainability (reduction of water usage) and advanced technology (urine analysis to reveal medical conditions), but the primary considerations were related to its simple and effective (com)mode of addressing a basic and necessary human function. The toilet has changed so little over the last few hundred years since the first flushable was introduced, but the time has come to rethink it, even if it all of this potty talk will inevitably elicit a few giggles here and there. See more in Industrial Design or under Technology. July, 2015.